It’s official. The new Weis in Carney is open for business. The new store location in Carney Village Shopping Center, at the intersection of Harford & Joppa Roads, opened on Thursday, August 4, at noon. Back in May, Mars Supermarkets announced that it was closing all of its stores and that Weis, headquartered in Sunbury, PA, would acquire five of its locations. More than 500 former Mars employees joined the new Weis Markets store teams. The acquired locations in Baltimore County include two stores in Dundalk and individual units in Essex, Arbutus and Carney. Weis Markets also plans to finalize the purchase of 38 Food Lion stores in September, six of which are located in the Baltimore region. 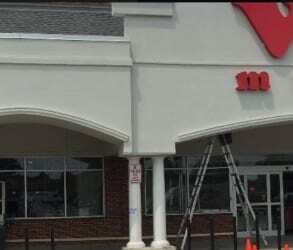 Once those reopen as Weis locations, the Company will operate 15 stores in the Baltimore region, essentially tripling its presence in the community within a few months’ time.